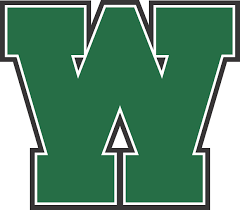 The WHS Girls Varsity Team continued to win in the Greater Cleveland Interscholastic Bowling League (GCIBL), and are currently undefeated in all the Scratch, OSHAA and Baker competitions. This week the Demons were led by Senior Peyton Hedges with a league-high game of 213 and a team-high series of 475. Peyton was supported by Senior Charlotte Button (436), Sophomore Taylor Hedges (428), Senior Eve Anitas (374), and Junior Jenny Wisniewski (366). The Demons are looking forward to competing at their “home” lanes (Buckeye Lanes) next week against Magnificat, and in their first Tournament of the season, the Wildcat Classic on Sunday Dec 2nd. The WHS Girls JV Team fell to Olmsted Falls (1446 – 1529) in a very close match-up. Notable series include Sophomores Gabrielle Hansen (318) and Rema Alsabony (301), supported by solid games from Freshman Mel Beech (102, 116), and Senior Molly Daniels (109).